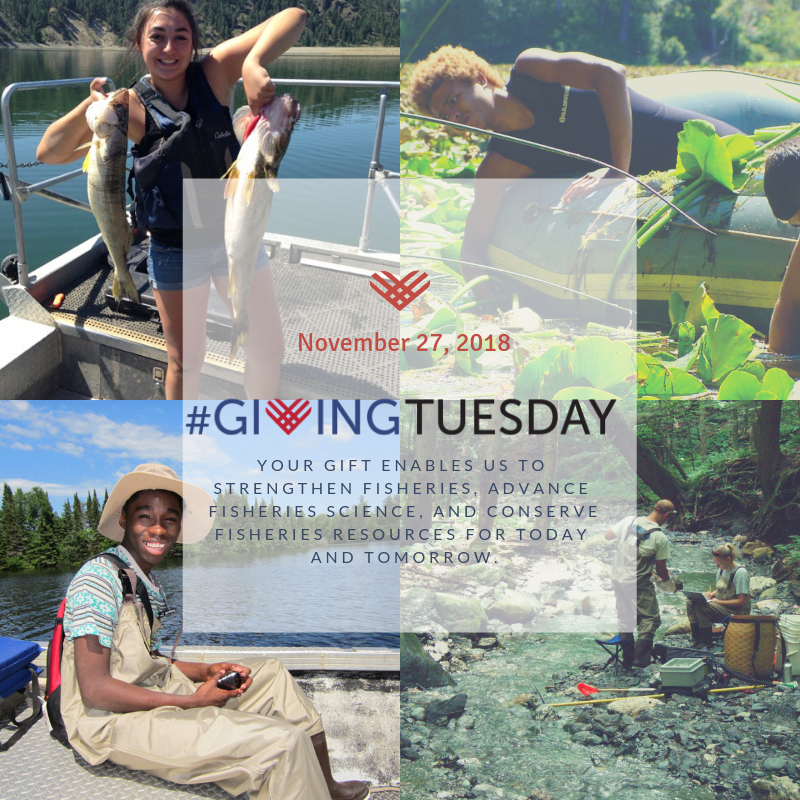 Just a few days after Thanksgiving, and on this #GivingTuesday, we are thankful for our members who work hard to strengthen and protect the world's fisheries. Please use the #GivingTuesday hashtag on social media to show your support of the activities and education programs of AFS today. Thank you! 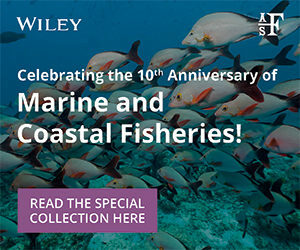 Our publisher Wiley helped us put together an impressive group of papers to celebrate World Fisheries Day last week. AFS President Jesse Trushenski weighed in further: "This day is an opportunity for fisheries professionals to remind ourselves of the interconnectedness of aquatic resources and fisheries disciplines. Thriving fisheries are globally relevant." 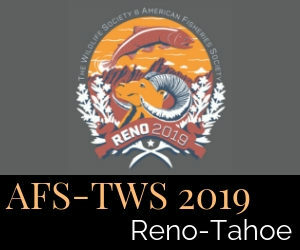 Time to start planning for the 2019 Joint AFS-TWS Reno-Tahoe meeting next September! You may have noticed that things are a little different: for one, the paper deadlines are later. Also, our joint website won't be fully up and running until December 14, when the Call for Symposium Proposals opens. In the meantime, please go here to learn more. 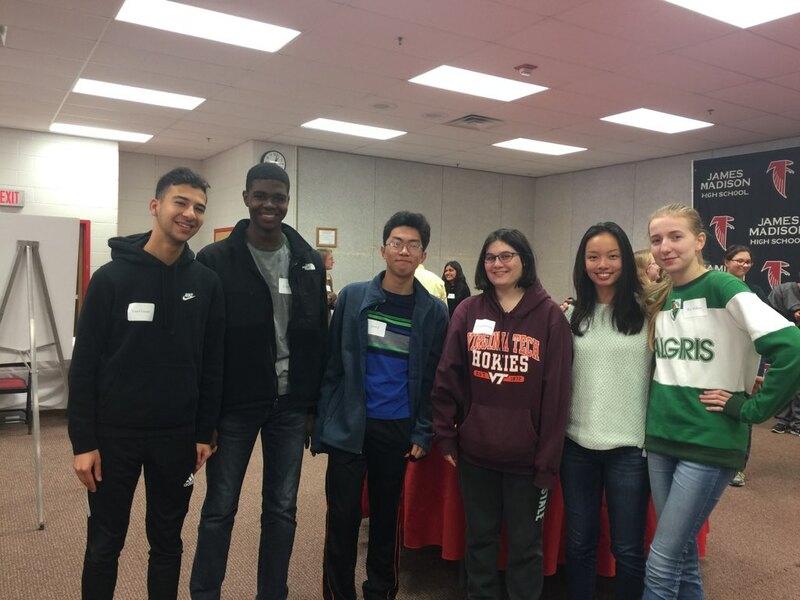 On November 17th, AFS and 75 other attendees participated in a charter signing ceremony of the TIA Alliance (Trout Unlimited, Isaac Walton and AFS) at James Madison High School in Vienna, Virginia. A local newspaper reported on it here, too. 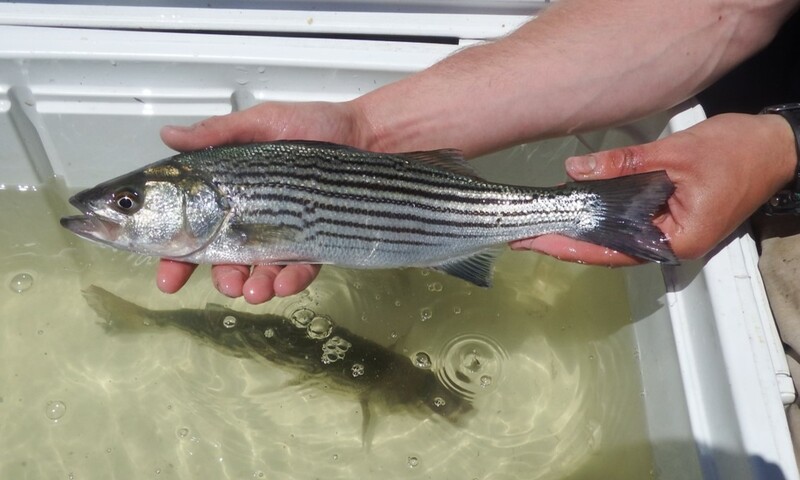 "This finding is important because until this point there was only one remaining Striped Bass spawning population in the Bay of Fundy Management area (the Shubenacadie River, Nova Scotia), following the population collapse in the Saint John River and possible extirpation in the Annapolis River," said researcher, Scott Pavey. "There is good news. The journey towards a conservation culture has been underway now for over 100 years," said AFS Policy Directory Drue Winters in her Fisheries column. In the piece she tells us how we can continue to drive fisheries science policy forward on Capitol Hill, following the November midterm elections. 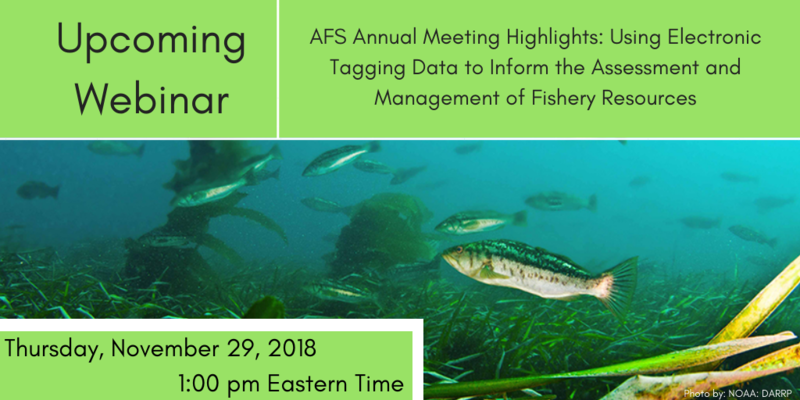 This Thursday at 1:00 p.m. EST, the Education Section will host a webinar bringing together researchers working on a wide range of electronic tagging technologies to present research and tool kits focused on addressing data gaps in stock assessments or fishery management. Register here. Nominations are now open for the International Fisheries Science Prize, to be awarded at the World Fisheries Congress in Adelaide, Australia in October 2020. The deadline for nominations is May 31, 2019. 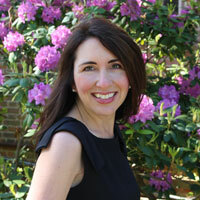 Want to learn more about communicating science effectively, and in small "bites," to different audiences? AFS Strategic Planning Committee Chair and retired USFWS scientist Jim Bowker provides his message and voice to this USFWS "Science in 60 Seconds" video. September 2-7, the AFS Fish Health section co-hosted the 8th International Symposium on Aquatic Animal Health (ISAAH 2018), in existence since 1988. 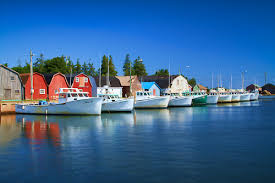 Aquatic animal health researchers and professionals from 34 countries met in Charlottetown, Prince Edward Island, and attended several continuing education workshops and concurrent sessions on a range of fish health topics.